In this special bonus edition of The European Perspective I interview Greg Spawton, Andy Poole, David Longdon and Dave Gregory from the English progressive rock band Big Big Train, on the eve of the release of their much-anticipated new album, English Electric Part 1. Expect sizeable chunks of the album interspersed with the chat, and a sneak preview of material from the second installment of English Electric which won’t be released until 2013. Thanks hugely to Greg, Andy, David and Dave for a very enjoyable afternoon, and of course for the music! what’s the neat little piece of music played at the start of the show? 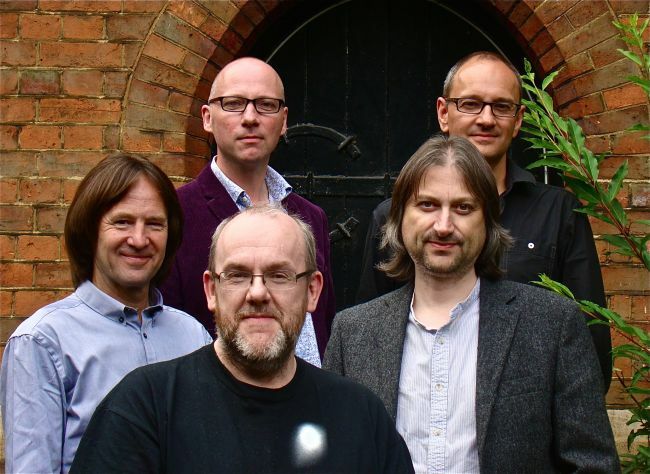 It’s ‘Winchester Driver’, from the 2009 Big Big Train Album ‘The Underfall Yard’. You are absolutely right – how daft of me. Quite true, just can’t help being a pedant sometimes ?